Photography—it’s all about passion, skill, and commitment. 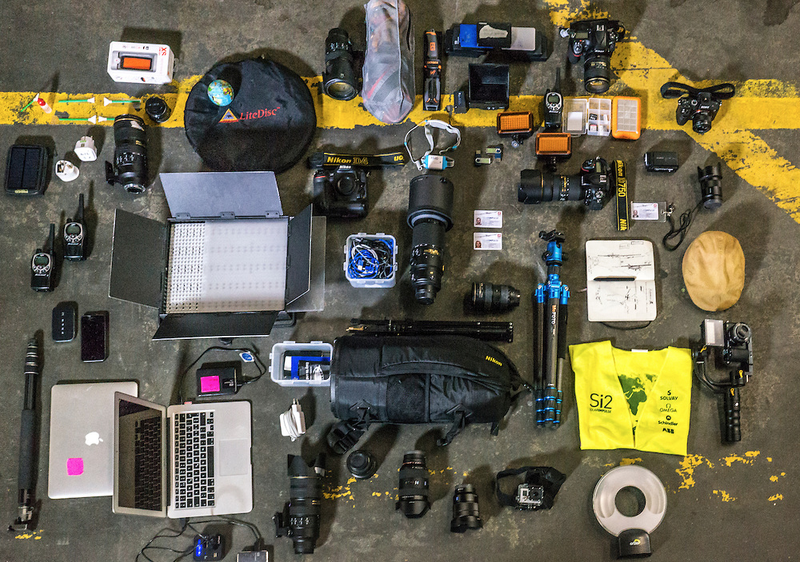 Ever wondered what a day in the life of a photographer is like? 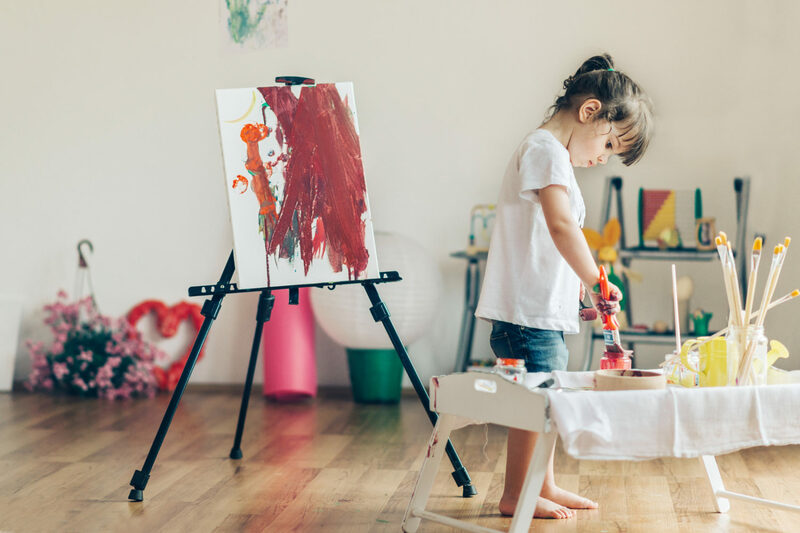 Every week, we ask a photography pro to document and share how they spend their day at work, giving you an exclusive, behind-the-scenes look at their shooting schedule. Every once in a while, we come across visionary work so epic that it inspires us to drop everything and continue digging for the story behind the shot. 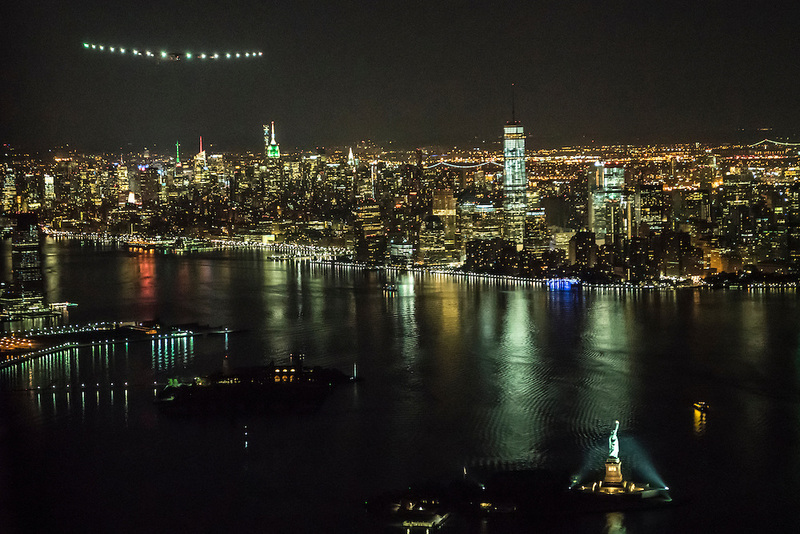 The photography created by the ambitious, forward-thinking Solar Impulse crew—from their daring pilots Bertrand Piccard and André Borshberg to their hardworking multimedia team—is one of those moments. And thanks to their efforts and brilliance, the dream of a world with cleaner tech may be becoming real sooner than we expected. 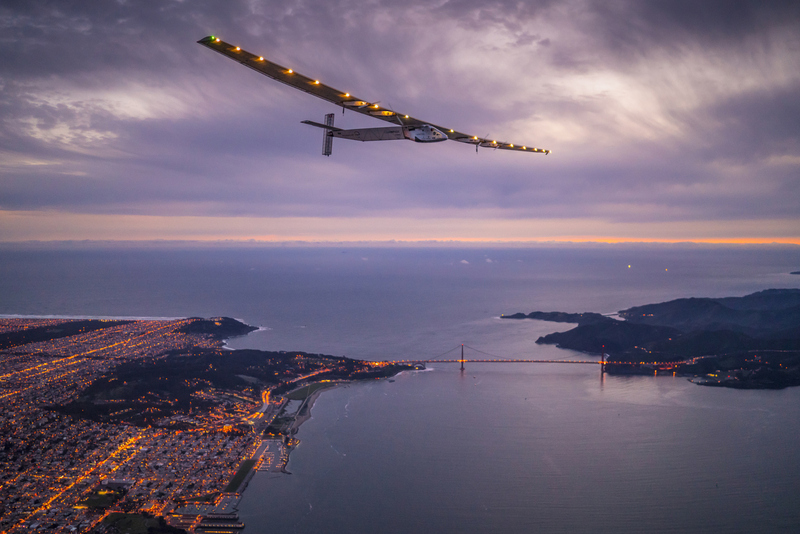 Imagine going around the world in a state-of-the-art solar airplane, flying above and landing on one country to another without using a single drop of fuel. That’s exactly what the team hopes to accomplish during their successful year of flying around the world with ZERO fuel—Switzerland, Abu Dhabi, Muscat, Ahmedabad, Varanasi, Mandalay, Chongqing, Nanjing, Nagoya, Hawaii, San Francisco, Phoenix, Tulsa, Lehigh Valley, and New York. And that’s what we hope to promote by sharing this incredible story with you. While their campaign in the skies is coming to an end very soon, nowhere are their bold efforts winding down at all. In fact, just yesterday, they have began a takeoff flight to attempt an unbelievable—but not impossible—feat that no one’s ever tried before. The challenge? 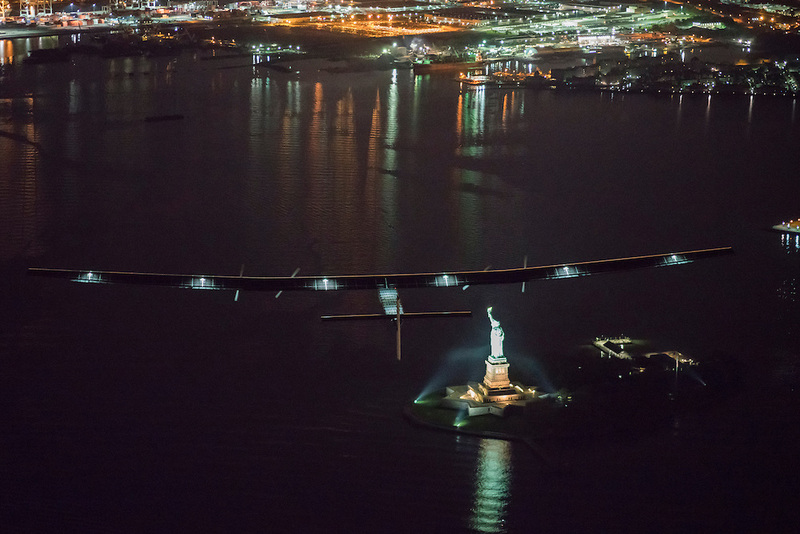 To cross the Atlantic, flying from New York City to Seville, spending 72 hours in the air without any fuel, powered only by solar energy. We asked Bruno Boehm, their Deputy Head of Digital and fellow 500px photographer, to take over our Periscope to livestream the takeoff live on our 500px feed. 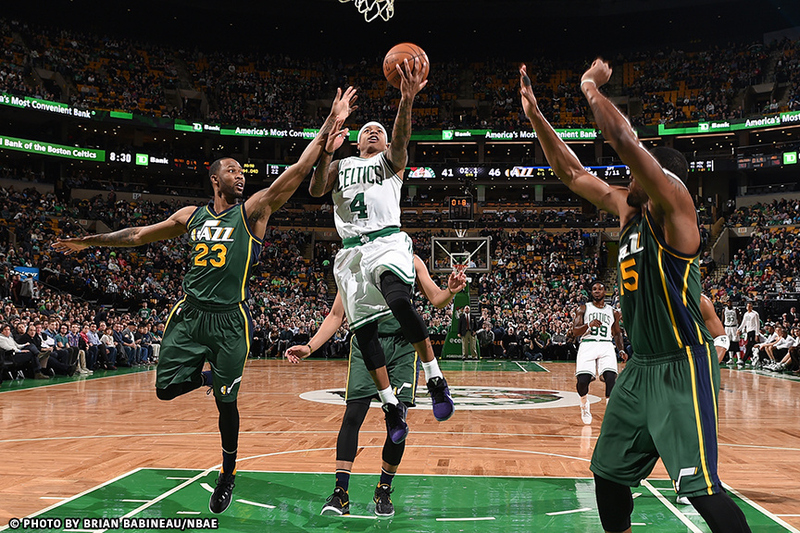 If you missed it, you might want to watch it here. 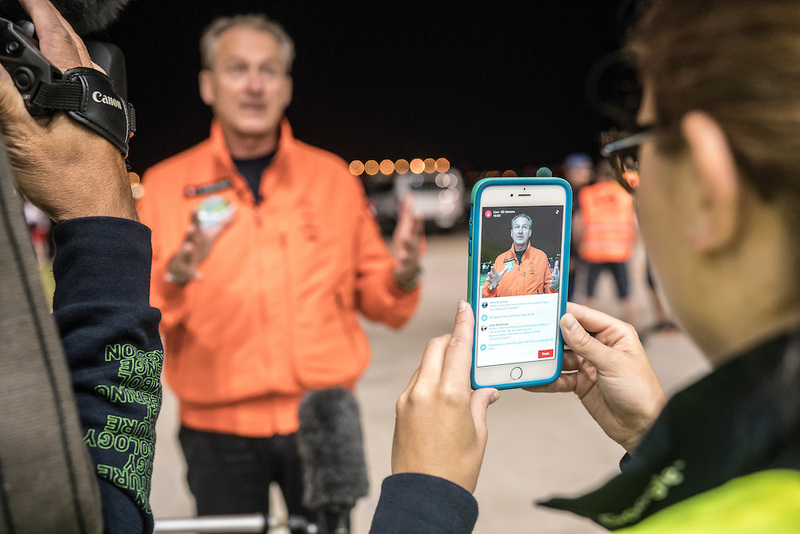 But there are other compelling stories and exciting behind-the-scenes photos that went down that night, from prep to rollout to boarding to takeoff, that the livestream didn’t cover. 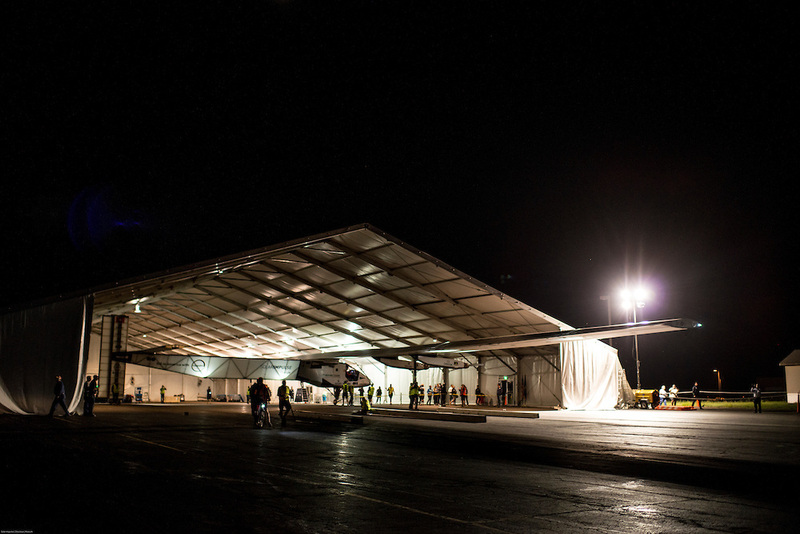 So Bruno documented what 24 hours looks like in that famous hangar that once held the plane that is now cruising the skies, running on nothing but pure solar energy. What he came back with was beyond breathtaking. Scroll down to read the rest of the story, complete with photos! Our job is to shoot, record, and share LIVE amazing images of Solar Impulse—the solar airplane going around the world with 0 fuel—to show people how amazing clean tech is! They could cut our world’s energy consumption in half as of today, so we need to spread the word thanks to our coverage of the flights. 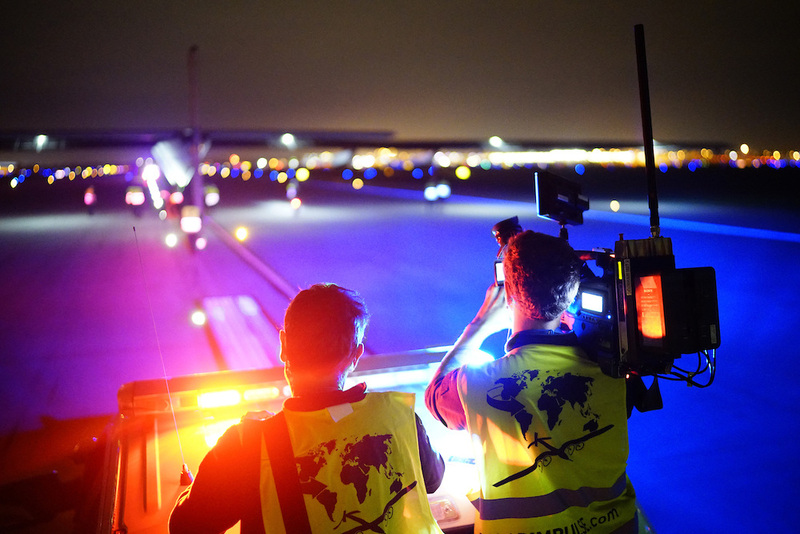 We’ve been capturing and shooting our solar airplane on a lot of runways and airways all over the world. Photo shoots include maintenance work on the aircraft, events by the airplane, and amazing stuff like flight coverage from roll-out to takeoff and landings, helicopter shoots (Abu Dhabi, Muscat, Hawaii, San Francisco, New York). All this is done without forgetting the exciting outreach activities of our pilots (COP21 climate change conferences, visits at the United Nations). We mostly shoot very early in the morning and very late at night, since it’s the time our aircraft takes off and lands, so we very often get the chance to be there for sunrise and sunset. 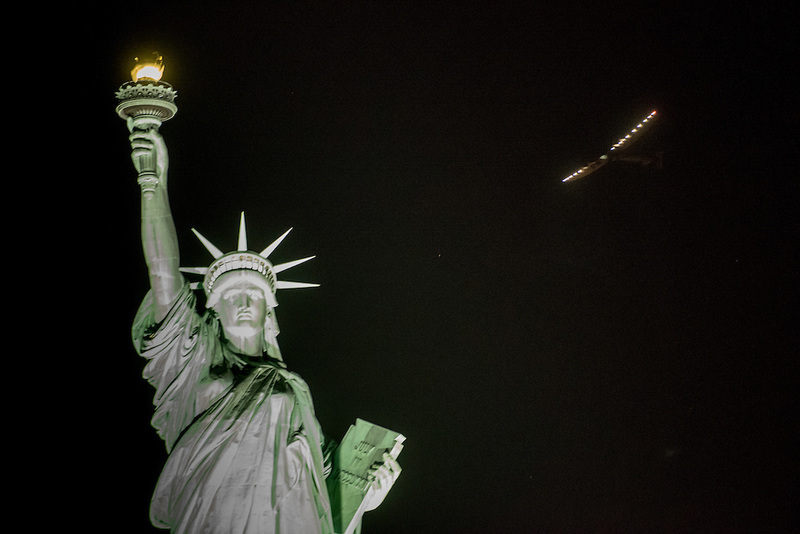 The story we want to tell you comes from our 14th flight in our around the world campaign, taking off from Lehigh Valley to New York and performing a flyover of the Statue of Liberty, without fuel. Most of our flights have the same structure, but the location dictates the set-up and logistics we chose, depending on the photo shoot possibilities. Flights over the Golden Gate, Myanmar temples, Abu Dhabi Grand Mosque, Hawaii coastline have also led to similar organizations, and we wanted to share with you some of the behind the scenes! 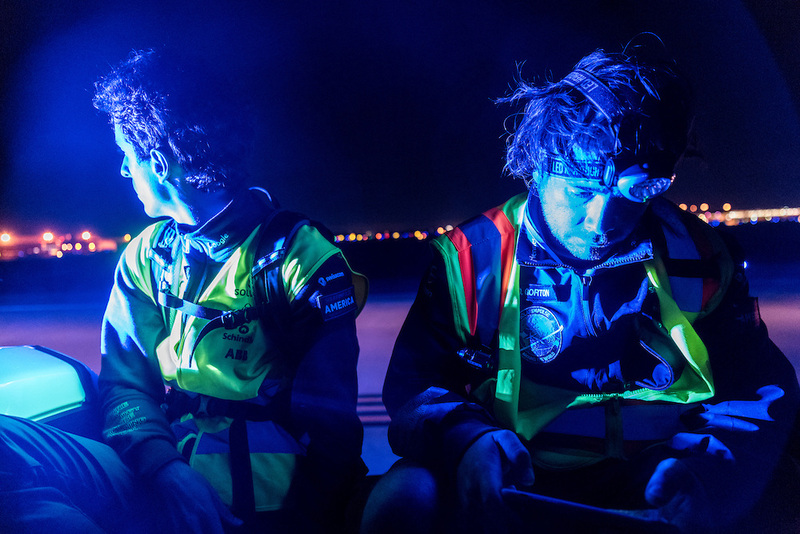 UPDATE: At the moment you’re reading these lines, we’ve successfully crossed the Atlantic after 72 hours of flying. We’ve landed in Seville today! Below is a day in the life of our takeoff from JFK Airport in New York to Seville, the longest flight we’ve ever taken without any fuel. 12 A.M. It’s time for the multimedia team to wake up. There’s a flight today, and we need to head to the airport! Most of the time, we’ve been working late the day before to finish preparations for the flight to come, pack our bags, and have only been able to take small naps. But the excitement kicks in, and we’re full of energy at this dark hour of the night. We take our bags, and make sure our equipment is there—even if we have most of the heavy stuff already at our hangar. Making sure our memory cards, battery, external power chargers, cables, and lenses are all ready is not that easy just after waking up. So we make sure to prepare everything before bedtime. 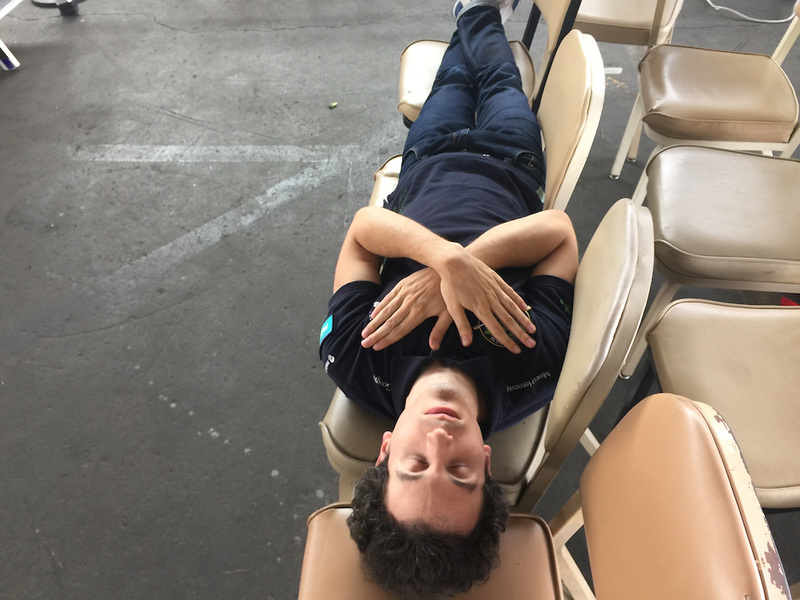 Sometimes we don’t even get time to sleep at the hostel we’re staying at, so we’ve developed some Fakir skills to rest anywhere there’s some space in the hangar! 12:30 A.M. Shuttle time. Time to get into the shuttle to the hangar. Sometimes we split and one team goes for the airport coverage (takeoff) while another team drives somewhere else. 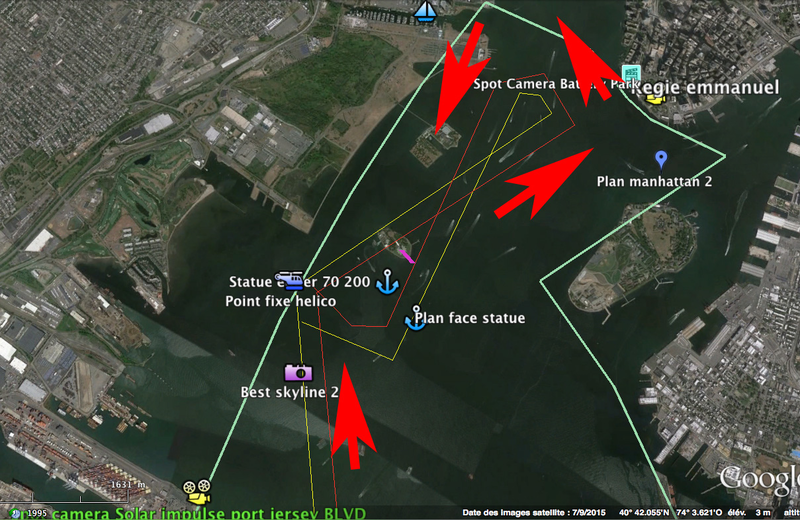 During this Statue of Liberty photo shoot, a big team had to go to South Manhattan (nice POV on the statue at Battery Park), Pier 25 harbor to get on boats (to follow the airplane from the Hudson bay), and the heliport for the lucky ones shooting from the helicopter. 1 A.M. Ground-crew briefing. Senses are more awake now after the shuttle transfer and everyone is taking position. In the airport, it’s time to cover the takeoff procedures. Engineers are working on preflight checks to make sure the airplane is ready, the ground crew starts the handling of the aircraft to prepare for roll-out, and start opening the hangar. Coverage usually starts for us at the ground crew briefing, where everyone gathers to get the latest operation updates and safety briefing (because we’re about 20 team members walking on active airport runways). 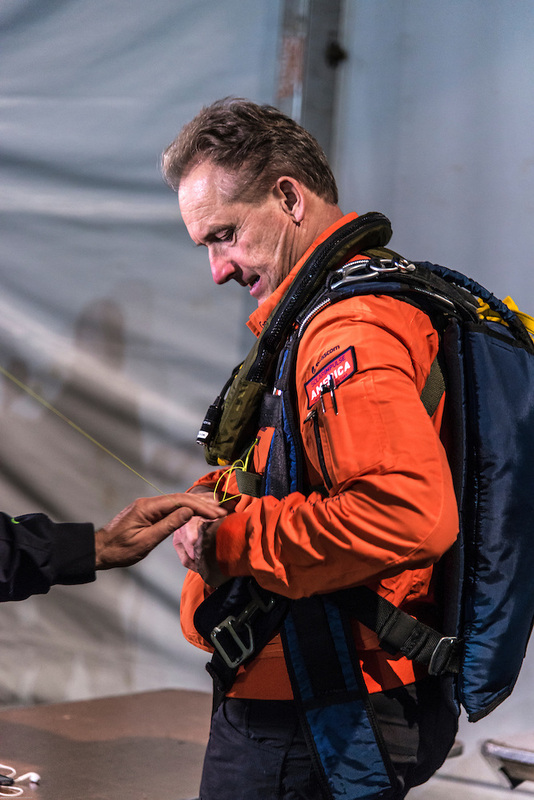 At the same time the pilot for the day (Bertrand Piccard or André Borschberg) gets ready. 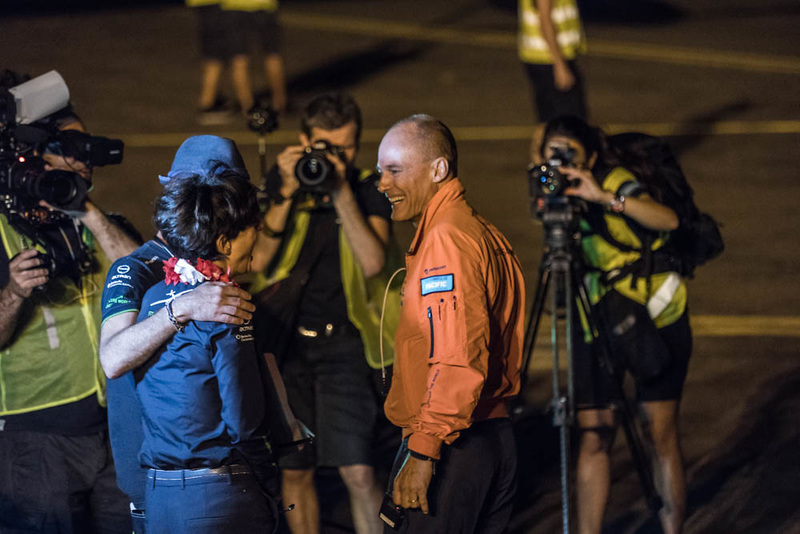 For the flight to New York, André Borschberg was at the controls: a flight he had been waiting for since 2013 and had also spent a lot of time preparing with the photo team to make sure the helicopter could get the nicest possible shots. 1:15 A.M. Roll-out. 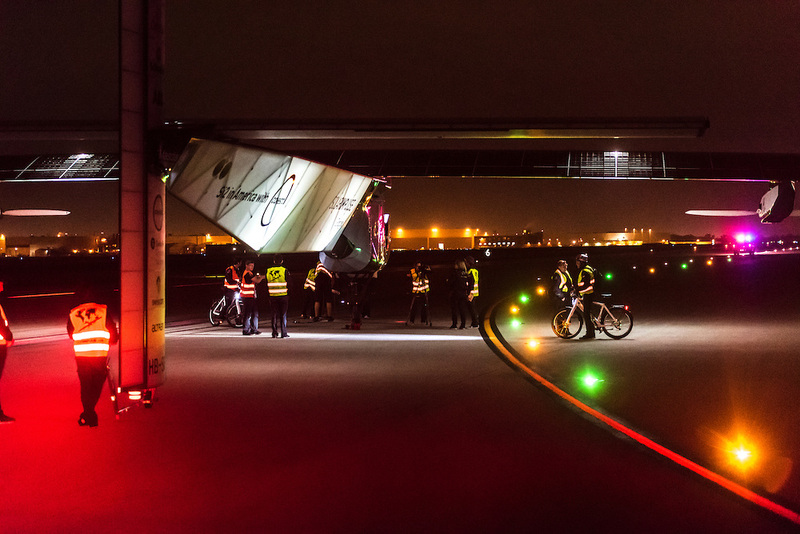 There we are, the 72m wide airplane is pulled out by the crew (it only weights 2300kg thanks to lightweight materials – just like a big car!). 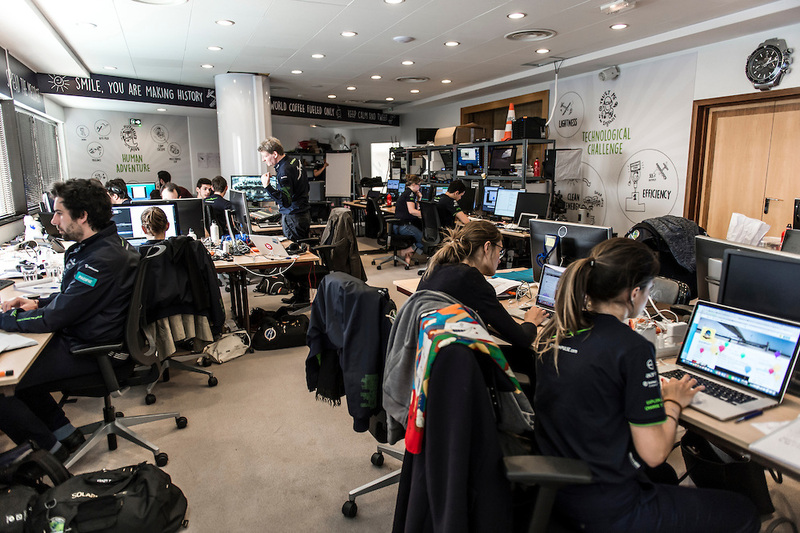 Our video team is now broadcasting live and sending the feed to our Monaco Mission Control Center (where the biggest part of the multimedia team is): the broadcast LIVE for the public on solarimpulse.com. 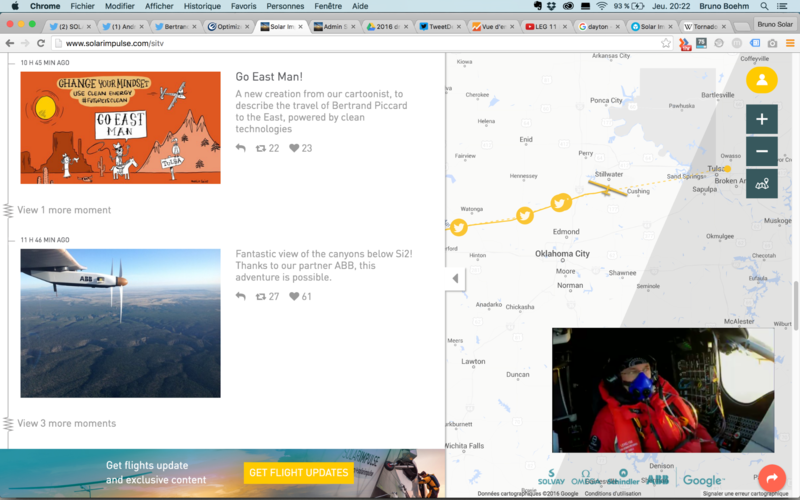 On our website people can now see the plane moving on the map, the video feed is playing and photo and text updates start kicking in. 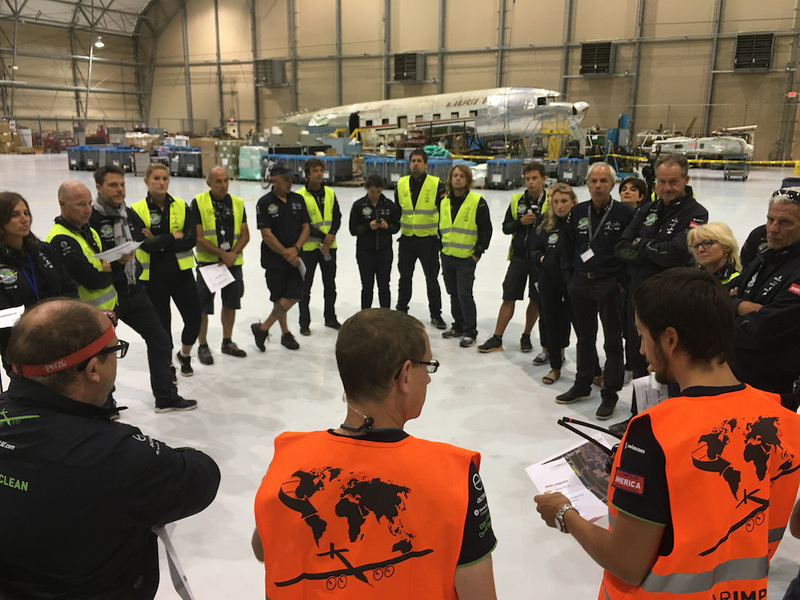 We now have a lot of training after 14 flights around the world, and more than 30 training flights, the teams and processes are in place, like second nature. Taking the aircraft out of our tent in Lehigh Valley. 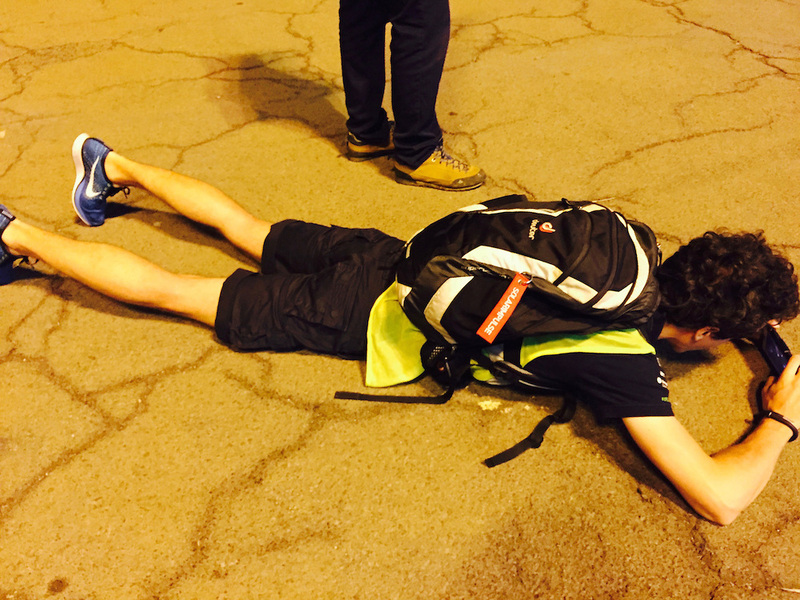 Strange positions for capturing cool timelapses to post on @solarimpulse’s Twitter. 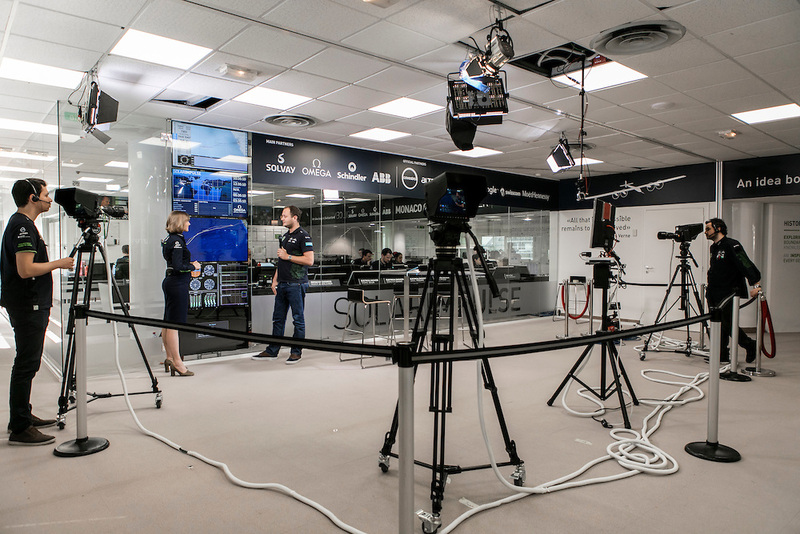 Live streaming onsite is all gathered here—Meera is the master of ceremony—and sent to Mission Control Center in Monaco where La Souris Verte is shooting the big show. At the Mission control center, Emmanuel Gripon’s team is streaming the big show on solarimpulse.com during the whole flight, including cameras from the airplane! 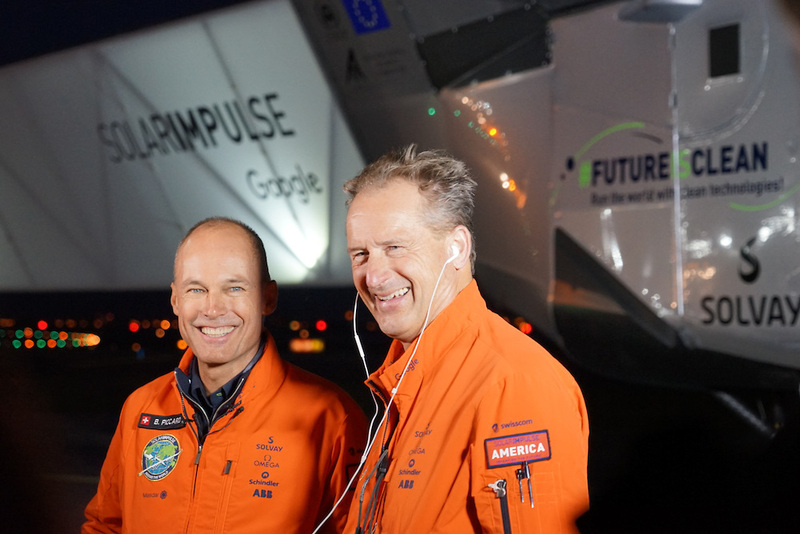 On the solarimpulse.com interface, you can find our logbook and multimedia content, as well as flight tracking, live video and real-time aircraft telemetry. 1:30 A.M. Pilot Boarding. Pilot boarding is an intense moment: Our 2 pilots (even if only one at a time flies the plane) are giving a small speech to the friends, TV and journalist present for takeoff, before the operations carry on out of sight of the public, on the runway. For the camera team it’s a great moment to get statements about the flight. An adventure like Solar Impulse is exciting but we also need to share that it has a purpose: demonstrating the potential of clean technologies. If all technologies onboard were used on the ground, we could already reduce our energy consumption by ½. For sure flying around the world will not be a complete success if it doesn’t help promoting clean technologies and their adoption by governments, companies, and citizens worldwide. The whole multimedia team thus tries to help Bertrand and André in their mission to share this message, on the web, in newspapers, on social networks, on TVs. Time for our co-founders to say goodbye. One of them has to board! moment before boarding. Last statements are given. These are great shots for Noemi, Marie and Christoph. We all cross our fingers for the flight to go well. 1:50 A.M. We’re taxiing on the runway. Okay, so this isn’t the part where I’ll talk about Uber and Lyft vs. taxi drivers. 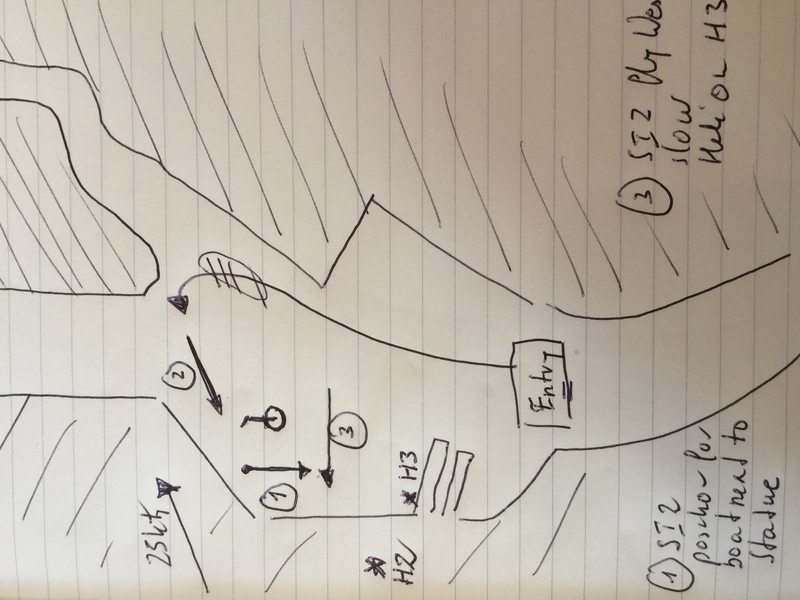 What TAXI means is instead when the ground crew team is pulling or pushing the aircraft from our hangar to the takeoff point, sometimes a few miles away (this step can take some time on big airport). 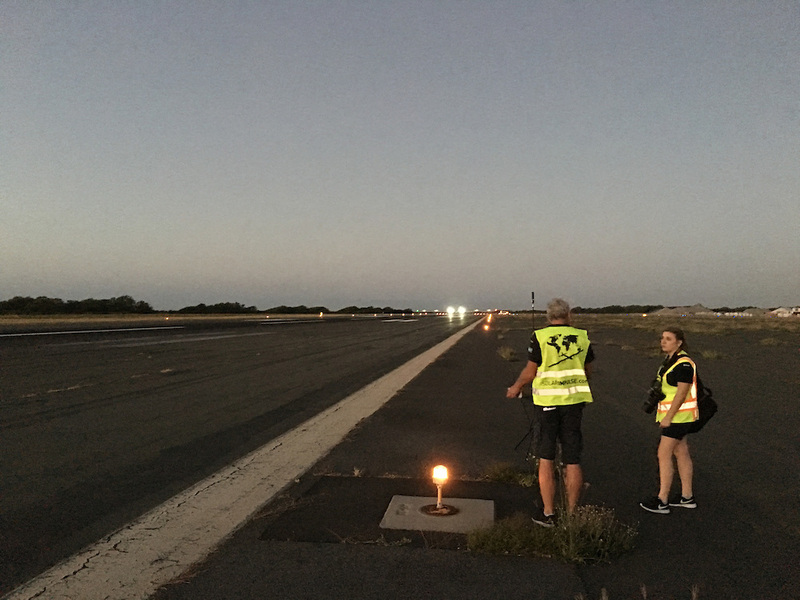 We’re now on an active runway (but fewer operation at these hours), following the aircraft by foot, it’s usually pitch dark. — And of course the aircraft in itself, that glows in the dark with its LED lamps switched on, that illuminate the inner ribs of the wing and the carbon fiber ultra-light structure. Behind the aircraft in one of the chasing cars, Christophe, Jon and Yannick are sending photo and live-video. 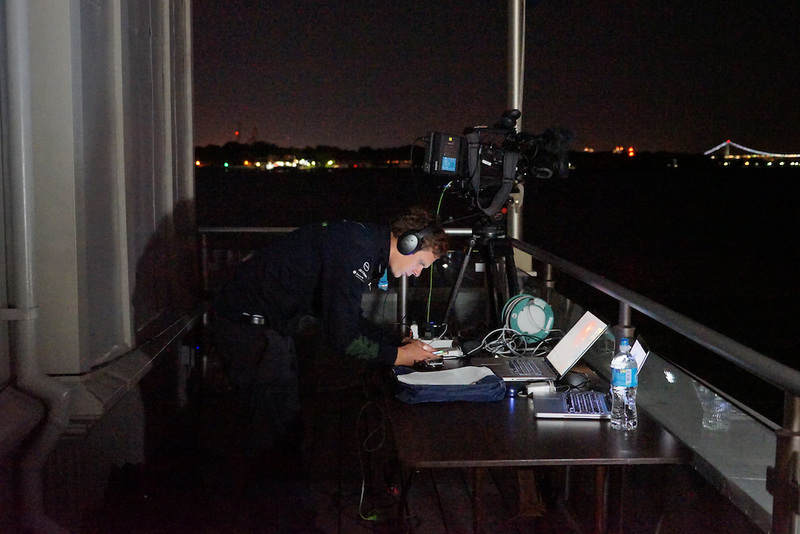 From Monaco, the streams are processed and edited for the LIVE show broadcasted on solarimpulse.com. Nearby Vincent’s web team is making sure social networks are fed with all of this cool content. 2:30 A.M. Takeoff point reached. Now the aircraft has reached its takeoff point, the plane is nearly ready to go. 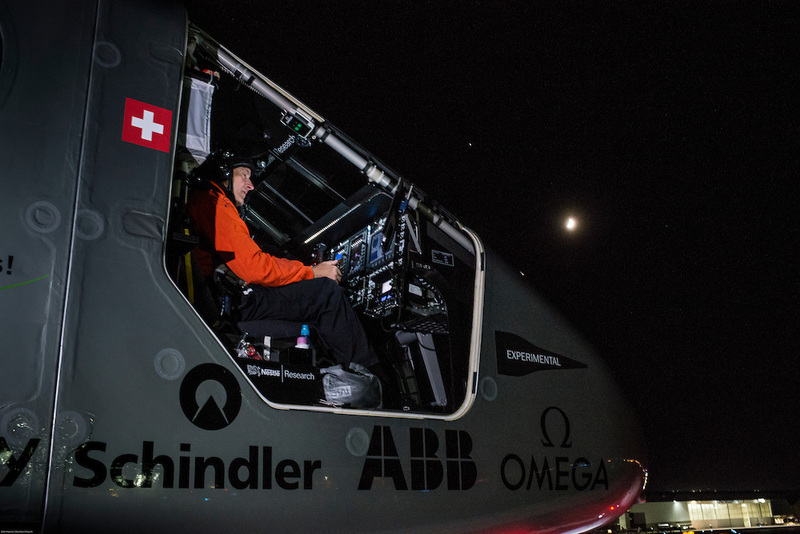 Closing the door and performing the engine run-ups is the last task to perform before putting full (electric) throttle. — One going to the catching crew (on both sides of the runway, in front of the aircraft approx 800m away, to get great front takeoff shots). — One going into the chasing cars to get travelling shots from behind the aircraft. From the chasing car following Si2, usually a great spot for broadcasting on solarimpulse.com as well as for Snapchat, Vine, Twitter videos or periscope! We love people’s comments during takeoff when we stream live. In the catching crew, waiting for the plane to takeoff. 3:00 A.M. Takeoff. The moment we’ve all been waiting for. A few seconds before, heartbeats start accelerating, and it’s time to think about all of the small things: memory card working, settings ready on the cameras, all batteries are good, cell phones are ready, tweet texts are good to be tweeted! And then we also try in those 20 seconds to enjoy the moment from outside of the camera’s viewer. To feel the wind in the air when the chasing car is at full speed behind the airplane lifting-off in near silence (electric motors). From the catching crew, the aircraft changes from a small dot far away to a growing and glowing albatross. 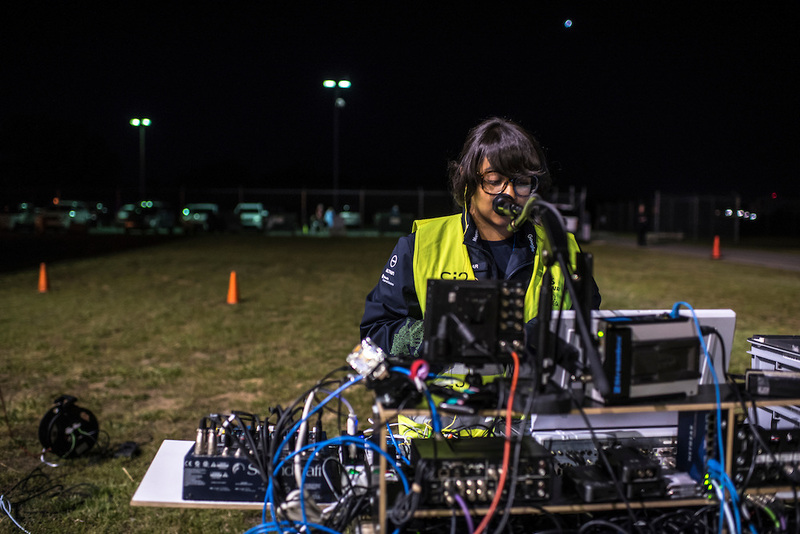 As background noise, the radios transmit the tower frequency and out team’s frequency, and it’s a great moment to follow the aircraft takeoff discussions with team and air traffic control tower. From the catching crew, the sound of the props and wing, passing in the air above our head, is an amazing memory. 4:30 A.M. A photo shoot in the air and from the Hudson Bay. Now the aircraft has taken off, it’s time for the airport team to to pack and move to the landing location. Time also to produce a few photo selections, b-rolls and send this packages to the Mission Control Center: work is not over, and it’s now time to push content on the web and to the press! From the Hudson Bay, the team is now waiting for the aircraft to arrive. At Pier A there’s a streaming going on, Yannick is following Si2 from the ground! 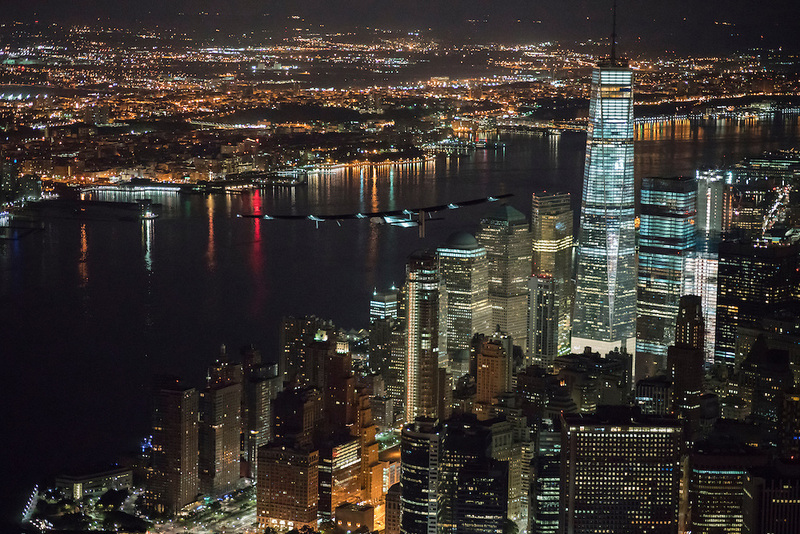 At night time and in the helicopter, he now loves to shoot on his Sony alpha 7R mark II, and uses prime 35mm or 85mm (f1.4) lenses. From the boat down below, it’s also a great point of view. Social media is broadcasting live on periscope, video team is streaming using a Handheld 3-Axis Camera Gimbal (Ronin), and the images are great too! The Statue of Liberty from the boat, shot by Christophe Chammartin. 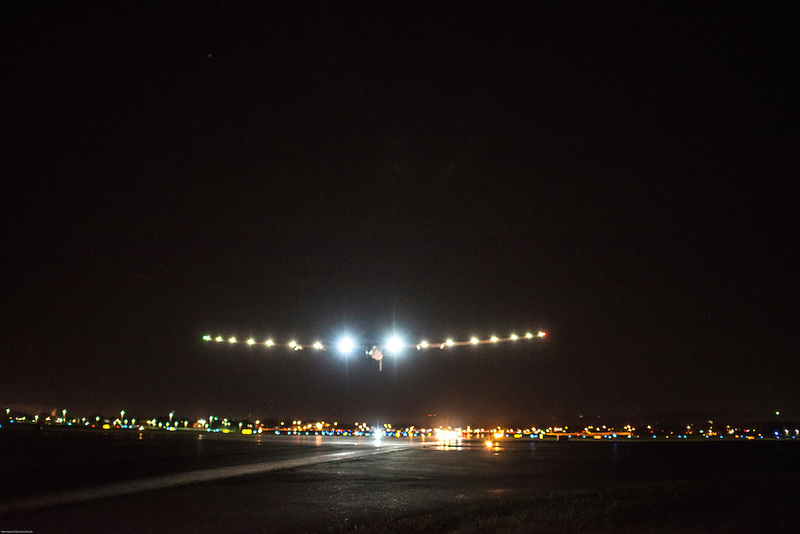 Solar Impulse and André Borchberg landed safely in New York, JFK airport. Discover the rest of the story here in our logbook. Planning of the photo shoot made by Jean and Emmanuel on Google Earth, to be revised with wind forecast. 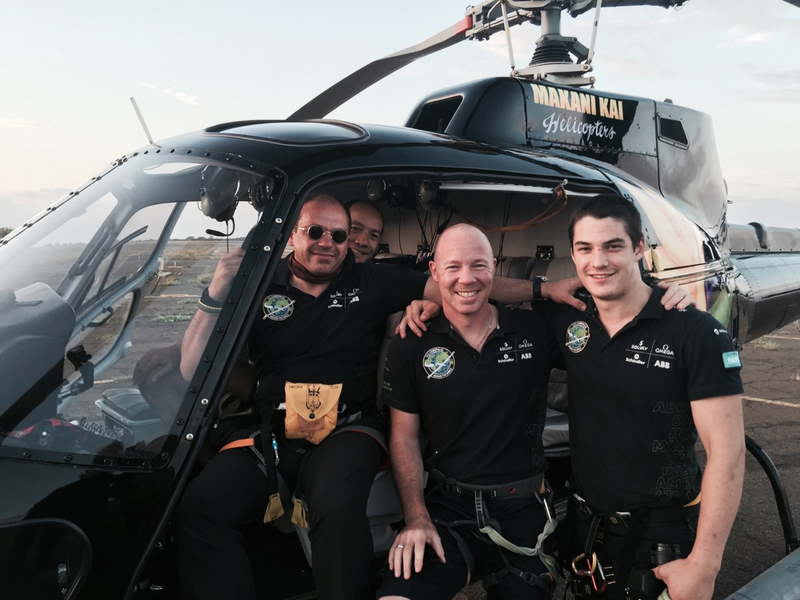 Tahan, Jean, David and Antoine from the Heli team. André Borschberg’s drawing of the possible approach. 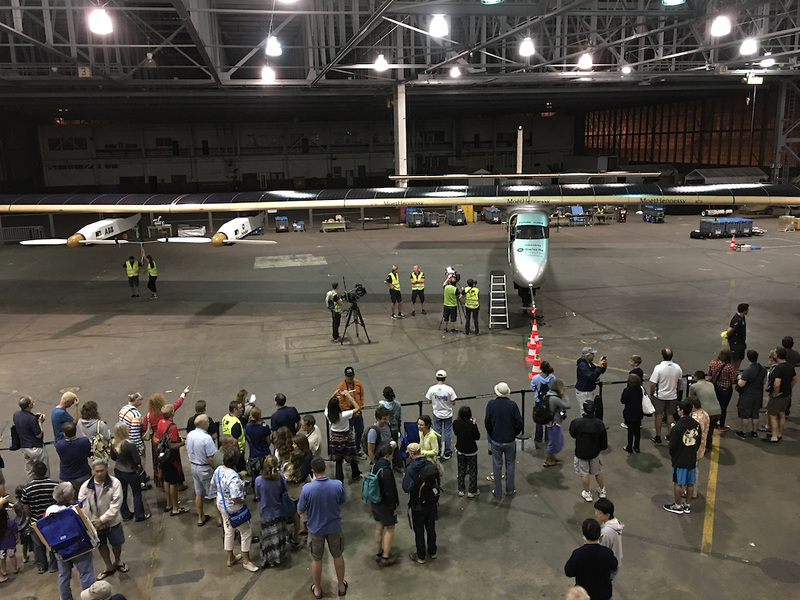 For all of our other flights check out solarimpulse.com and don’t hesitate to subscribe to our flight updates, we’re already at 2/3 of our adventure, don’t miss out! To see more, follow Solar Impulse on 500px, Facebook, Twitter with the hashtags #futureisclean #futureisclean #Si2 #solarimpulse. Got any questions for them? Leave a comment for him below! Don’t forget to check back in next week for another installment of A Day in the Life featuring another awesome 500px photographer.